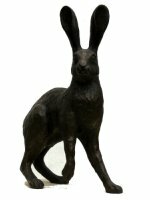 Europa bronze hare is one of 3 stunning hare sculptures by Peter Close. 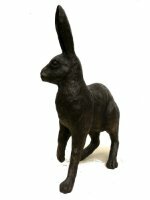 This delightful bronze hare will be a fine addition to any home or garden. 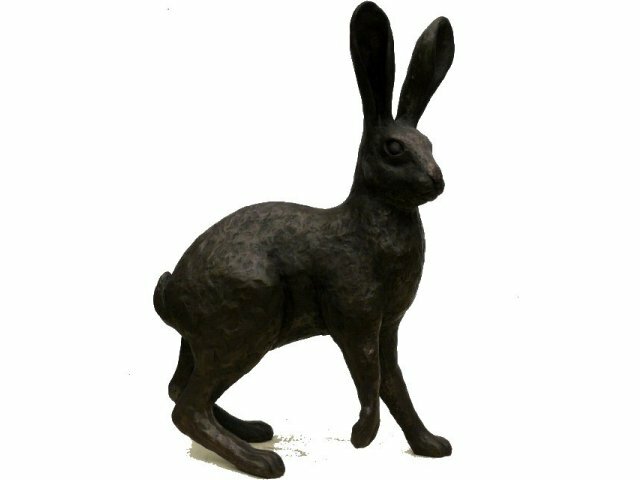 This hare sculpture is completely weatherproof and is able to withstand very high and very low temperatures so is suitable as a garden ornament. 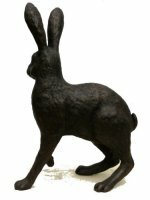 This cold cast bronze hare sculpture is made entirely by hand by sculptor Peter Close in his studio in Somerset. Europa bronze hare is limited to an edition of 500. 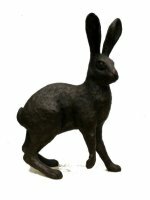 Each limited edition hare sculpture is hand engraved by Peter with its own unique edition number and will come to you with a signed certificate of authenticity.